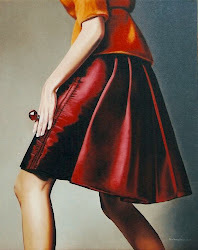 "The flamboyant exhibition Fashionality closes at the McMichael Canadian Art Collection this week. Find out more about its larger-than-life feel and its works by Kent Monkman, Camille Turner and others in this feature from our Summer 2012 issue." 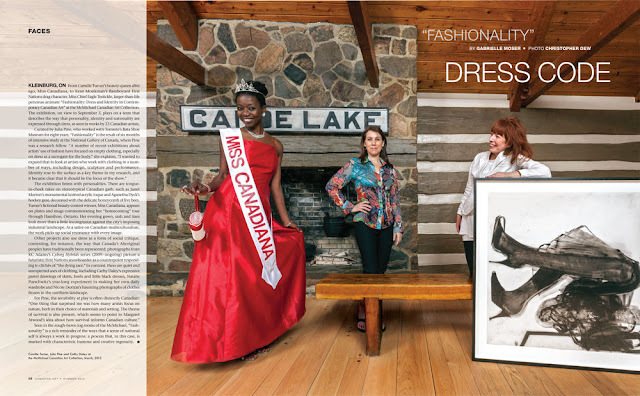 And check out the über Canadian Canoe Lake photo spread featuring artists Camille Turner (as Miss Canadiana) and Cathy Daley, with curator, Julia Pine, in the middle.